Emergency Dentists USA simplifies your search for the right dentist for your emergency dental needs, saving you time. A quick telephone call connects you to the dental service you need in Laredo, TX whether for a lost filling or a dislodged tooth. I woke up with such a painful toothache one morning and knew I wasn’t able to get in to see my regular dentist. Thankfully, I found this website and was able to get some helpful information. Their staff is also amazing, they helped find a dentist for me and also assisted in setting up an appointment with them. Overall, fantastic service! Finding an emergency dentist in Laredo, Texas does not need to cause you further headaches. There are a number of different dentists available in Laredo. After hours dentists are dentists that have hours available later in the day to help you get the dental care you desire. In Laredo, Smile Magic Dentist has a friendly staff with dental office hours as late as 7p.m. Monday through Friday and 6 p.m. on Saturday. Planet Dental and Orthodontics has after hours until 7 p.m. Monday through Friday and is open until 3 p.m. on Saturday. Imagine Dental has the experience to help ease your pain and is open until 7 p.m. weeknights and then on Saturday until 5 p.m., making it possible to set up emergency dental appointments that work with your schedule and needs. Emergency Dentists USA provides you with an excellent source of emergency dentists located in the Laredo area. The numerous dental care offices offer after hour emergency dental services, making Laredo a great city to visit or live. Emergency Dentists USA has a 24-hour emergency helpline to help link you to a live person to find you the perfect Laredo emergency dentist for your dental emergency. Our listings are accurate and make it easy to find the dental treatment that you need when you need it. Description If you are visiting Laredo and suddenly come down with a nagging ache in your mouth, you know that we will be on standby waiting for your urgent call to help you. Description: The staff at Smile Magic Dentist is open for you on Saturdays from 9AM until 6PM, and also during the week late until 7PM. 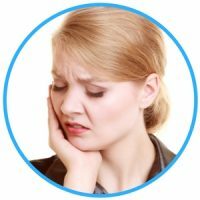 You can arrive here if you are experiencing difficulty from an aching or abscessed tooth, or have the need for something routine like a cleaning. Known well in the community for their honed skills and personable attitude, this is an all-around excellent clinic. Description: Imagine Dental of North Laredo is a clinic that has the experience and knowledge to give you a great dental appointment. They are open late until 7PM the first 4 nights of the week, and also on Saturday from 9AM until 5PM. This is a clinic that can help you or any member of your family come back down to earth in the pain realm, and send you home worry-free. Description: Planet Dental and Orthodontics is located right off of Guadalupe St in Laredo, and is open until 7PM during the week. You can also come visit on Saturdays from 9AM until 3PM, a real benefit for those with a jam-packed schedule. It may be an emergency such as a root canal, or a routine check-up; they will be here for you to alleviate your pain immediately. Description: The staff at Gentle Dental is open for you on Saturdays because they know that people’s lives are busy enough that they may not be able to come during the week. You may need an extraction, routine cleaning, or any other procedure, and the doctor that runs this clinic knows how to treat patients with dental anxiety. Schedule an appointment with the best, and enjoy leaving the clinic pain-free. Visiting an emergency Dentist in Laredo, Texas is much like visiting a regular dentist. An emergency dental clinic provides routine services such as cleanings, fillings, and x-rays. 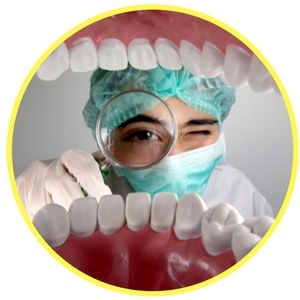 They also provide more technical services like tooth extraction and abscess treatment. It is important to have your most recent dental records and x-rays available before visiting the emergency dentist. Have your dental insurance cards and identification available when you visit the emergency dental clinic. Arriving at least 15 minutes before your scheduled appointment gives you the time necessary to fill out any paperwork the emergency dentist might request. It also provides you time to ask any questions you might have about your upcoming procedure. Before you go to your emergency dentist, ask if they accept your payment method. While most dental offices take all forms of credit cards, there are some that are not accepted. Always ask if you are considering a payment in the form of a personal check as a payment for their services. Most dental clinics bill your dental insurance. There are many different common 24-hour dental emergencies that can make your life in Laredo, Texax quite painful. A broken tooth, infected gum, impacted tooth, abscess, or even a knocked out tooth are just a few of the dental emergencies lurking out there that can hit at a moment’s notice. 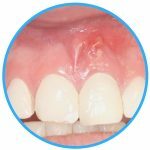 An abscess can be an extremely painful and serious condition that can cause damage to the tissue and teeth. If left untreated, the infection can spread to other parts of the body. An abscess is an infection that occurs around the root of a tooth. It can also occur between the teeth and gums. An abscess is a pimple-like swelling on the gum that is usually painful. To help ease the pain and draw the pus out, rinse your mouth with a solution of water and salt several times a day. The solution should be 8 ounces of water and 1/2 teaspoon of table salt. Having a knocked-out tooth can bring immediate panic. The first thing you should do is quickly retrieve the tooth by holding it by the crown. The crown is the portion of the tooth that shows when you smile. Rinse the root of the tooth off with water if it is dirty. Try to place the tooth back in the socket if at all possible. If it is not possible, place the tooth in a small container of milk. If milk is not available, water with a pinch of table salt can be used. Contact an emergency dentist as soon as possible as the tooth has the highest chance of being saved if returned to the socket within 1 hour of being knocked out. There are many accidents that can cause trauma to your teeth. A headbutt from an infant, a baseball to the face, or even a slip to the floor and hitting your jaw. A trip to the emergency room is necessary anytime there is trauma to the face to check for concussions or broken bones. It might be necessary to have an emergency tooth extraction if you have a tooth that is extremely damaged or infected. Your dentist will give you an injection of local anesthetic to numb the area where the tooth is to be removed before pulling it. If the tooth is impacted, the dentist may have to use a strong general anesthetic and allow you to sleep through the procedure. 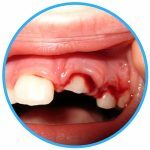 If impacted, the emergency dentist will cut away bone tissue and gum and start to gently rock the tooth back and forth to loosen it from the ligaments and jaw bone. On occasion, the tooth must be removed in pieces. After the tooth has been removed, a blood clot forms and a gauze pad is placed into the socket to help stop the bleeding. A dentist, on occasion, will put a few stitches to help close the gum over the extraction site. Aftercare involves painkillers as necessary. Biting firmly on the gauze pad helps to reduce bleeding and allows a clot to form in the socket. The gauze pad should be changed if they become soaked with blood and should be left in place for at least 3 to 4 hours after the tooth has been pulled. Limit activity for 24 hours to avoid dislodging the clot. After 24 hours, make a solution of 1/2 teaspoon salt and 8 ounces of water and rinse your mouth. Do not smoke or drink from a straw for 24 hours and stick to eating soft foods for the day. Your Lorado emergency dentist is there to help you handle dental emergencies as they arise. They are the best option for emergency dental care in most instances. Before visiting an emergency room, contact your emergency dentist for dental emergencies such as lost fillings, toothaches, and broken crowns. In most instances, the ER will simply refer you to an emergency dentist for injuries such as these. For an injury to the face, it is important to visit your local emergency room for care. There could be broken bones or a risk of a concussion. The ER physician is trained to help with physical injuries and can take x-rays and prescribe necessary painkillers and antibiotics for a dental emergency. Always check with the local dental society to be certain the dentist that you choose is certified and licensed in Laredo. You can locate this information through the American Dental Association website. 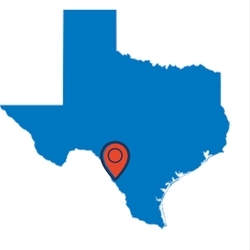 Certification and licensing can also be searched using the Texas Dental Association website. Both websites offer information regarding Laredo emergency dental clinics to help you make an informed decision regarding your dental care. In the case of a dental emergency when you are unable to reach a Laredo emergency dentist, call 911 or visit the nearest hospital emergency room to seek medical treatment. The Emergency Dentists USA website is available for informational purposes only and it should not be used to replace the advice of a medical professional.